The Chaplaincy Team is an extra resource to support you in your time at City. We offer support to everyone, welcoming every faith, belief and culture, and we’re here for students and staff alike. Our multi-faith team has a diverse role to play in the life of City - from offering a listening ear to students and staff, to supporting student faith societies, to celebrating your success at Graduation. The team comprises of the Chaplaincy Co-ordinator, Reverend Ian Worsfold, Imam, Sheikh Musa Admani and five Honorary Chaplains - Reverend David Allen, Reverend Andrew Baughen, Rabbi Gavin Broder, Sister Catherine Cruz and Father Gregory Wellington. The Chaplaincy Team can also provide information on local places of worship and provide contact details for faiths not represented on the team. No appointment necessary. We’re available to anyone who would like to come in for a chat and a cuppa! You’ll find us in the City Faith Centre, Level 1 Tait Building (on the right before you reach the Students Union and Courtyard Cafe). Welcome to City, University of London! My name is Ian Worsfold and, as a Methodist minister, I represent the interests of the Free Churches as part of the Chaplaincy Team. I'm in the University most days in term time and I'm happy to meet up with students and staff to listen and talk about any issues that concern you. You don't need to be of a particular faith for me to listen - or of any faith for that matter! Please feel free to get in touch. I look forward to welcoming you and getting to know you. Welcome to City, University of London. My name is Musa Admani and I am the Imam. My interest, and my job, is to assist Muslim students' personal development and spiritual needs. In addition I can assist you in addressing private and sensitive issues that may distract you from taking full advantage of the opportunities offered by City. I am here to support you through the entire period you are with us in City. I want to ensure that you are spiritually stronger and excelling in your academic studies. To that end, I have worked with Muslim students and City administration, to ensure that your basic needs for mandatory prayers, ablutions facilities and cleanliness requirements are met at City, as far as necessary and practical. You can always contact me by telephone or email if you need clarity on some issue or you just want someone to listen to you. On Thursday afternoons during term time I will sit in the open space outside the Careers Centre between 14:00 and 16:00 and look forward to talking with you. A warm welcome to City, University of London. I have lived in Clerkenwell for over 20 years and work as the Programme Director of The School of Faith and as a researcher in Soulful Enterprise based at Cass Business School. I am available through the week to meet up. If you're investigating Christianity and would like to chat through questions of faith, learn more about applying faith to daily life or get connected with a local church, then please send me an email and I'll be delighted to make contact with you. I’m the Vicar of St Clement's, a local Anglican Church just across Goswell Road from the main City site, in King Square. I’m most most often in City on Fridays but am also available at other times to talk or meet up as I live and minister very close by. I’m always happy to talk about any matter of faith, spirituality or life in general; with 20 years as a priest, I’ve a long experience of supporting people of all ages and backgrounds. And you’re welcome to join St Clement’s worship Sundays and weekdays. We’re traditional in style but very welcoming with lots of local people of all ages and many different cultures and languages. I am the Jewish Chaplain to the University as well as to the wider London Region, taking in some 30+ Universities! In my role as Chaplain, I support the Jewish society (Jsoc) on campus and also facilitate the opportunity for students to meet other Jewish students across the capital, usually at evening events. I'm probably best known for the chocolate rogelech that I bring to campus! Jewish Chaplaincy also runs weekly Friday night dinners (FND) in central London. Previously I was a community Rabbi and am a former Chief Rabbi of Ireland. To students I'm known as ‘Rav Gav’ and I'm available to chat to, and as a listening ear to concerns that students have, looking after the welfare of all Jewish students on campus of all backgrounds and affiliations. 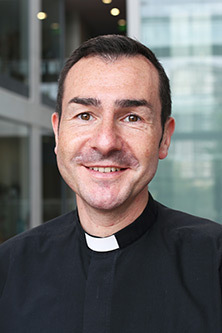 I am the Assistant Priest at St Katharine's Greek Orthodox Church (Ecumenical Patriarchate) in Friern Barnet, but since my ministry is unpaid, I also hold a full time post at City, University of London within the Student and Academic Services Directorate as Head of Student Systems and Data Quality. I am the contact point for Eastern Orthodox Christians based at City and am available to answer questions from people of any faith, belief or culture about the Greek Orthodox Church. If I am unavailable due to the rigors of my administrative role, I am happy to redirect enquiries to local parishes for further support, as appropriate in each case. This blend of roles is important in addressing the needs of the community. It also enables City to demonstrate its commitment to multicultural values. 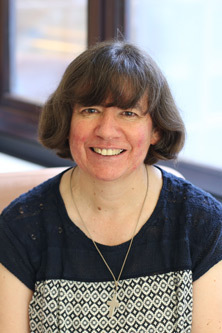 Hello I'm Sister Catherine, I am the Roman Catholic Chaplain at City University, I am regularly on campus, mostly Wednesdays and am very happy to meet up with students and staff from all backgrounds. I am a member of a new-ish Religious Community called 'Verbum Dei', and my community life has taken me to many places around the world. When I'm not in City, I'm based in Tottenham, North London, giving retreats and spiritual accompaniment.